Our company is built on the values of providing great quality products for amazing value. We also understand that customer service is the key to success. Read more. We at HiTech Blinds know that making a home investment can be daunting so here’s an insight into what to expect when you become a valued HiTech Blinds customer. Email, live chat or call our friendly staff to discuss your requirements or ask us any questions you have. If you like what you hear and want to obtain a free, no obligation quotation, just send us your approximate sizes (measuring guide link) for an estimate. Need help or assistance, don’t worry, just give us a call and we’ll help you out. Most existing windows can accept HiTech Blinds units however occasionally we do come across windows that it is not possible to re-glaze. It is only possible to identify this at survey stage but if we are unable to re-glaze your windows we will advise you straight away and you will not incur any charges for the survey. When you’re happy that the competitive price is within your budget we’ll arrange a convenient time for one of our qualified installers to visit you and measure accurate sizes for order and show you the product. Once a deposit has been paid the raw materials will be ordered from our trusted suppliers and a manufacturing slot will be booked in our factory. An order confirmation will be raised confirming the receipt of funds, anticipated installation date and your allocated customer service contact so you have someone to contact if you have any queries or questions. Once the raw materials have arrived from the system suppliers they will go through our stringent quality checks for defects in the profiles and paint and also that all components have arrived complete. They will then be manufactured in our factory and installed between the glass units. Once all final quality checks have been signed off, one of our qualified installers will deliver and install the units to transform your home. Our qualified, uniformed installers will call 1 hour before arrival. Full Care and attention will be given to your property. Any mess or debris from the installation will be removed and tidied before our installer leave. 50% Balance due on completion product which can be paid by cash, card or cheque. Our 10 Year guarantee will be posted to you on completion. Our qualified installers will leave you with a review form so you can rate your overall experience, the conduct of our installers and how pleased you are with your new blinds. It will also give you a chance to provide a testimonial for our website if you are happy to do so. At order Stage your permission will be requested for HiTech Blinds to take before and after photos so we can show how great your transformation is. If you choose to show off your great blinds we will show you all photos before they are published to our website. 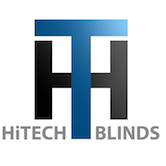 At HiTech Blinds we’re as excited as you are to see your new purchase (it makes the fabrication and office staff happy too who as they don’t get to see the final product on site).